NO-BIAS NOVEMBER REQUEST: Zion and Cloud Vs. Smash Bros.! Well, let's just say I couldn't let this opportunity pass after the recent dlc addition of Cloud Strife from the Final Fantasy series. Since I was given the opportunity to draw my persona, the suit in this image is supposed to resemble the one I use for my Swordfighter Mii in the game. 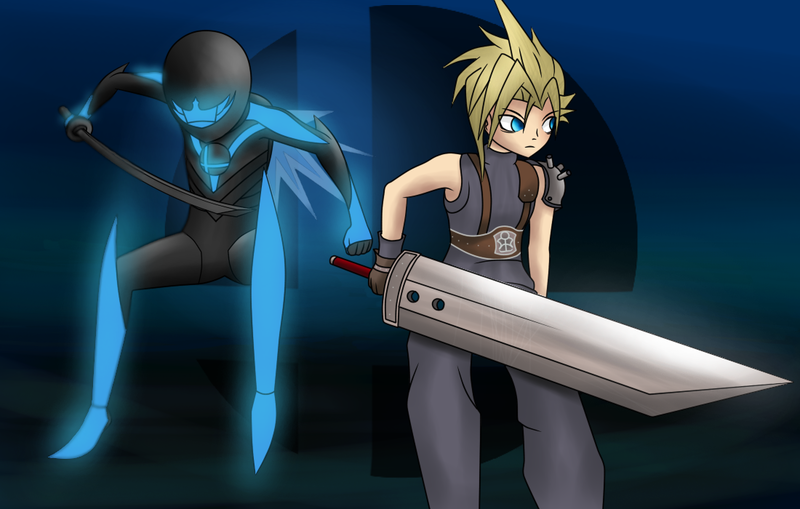 As for Cloud, I wanted to stick with his original design from Final Fantasy VII due to both simplicity and nostalgia... and when it comes to renditions of 3D characters, I tend to stick with soft shading and highlights rather than hard ones. PM me for a request! For more information on No-bias November, GO HERE!